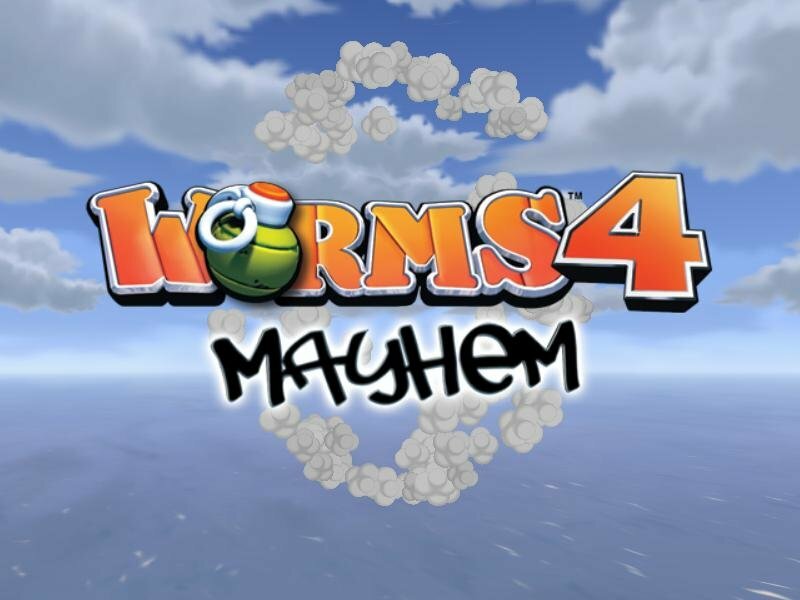 Those crazy invertebrates are at it again! 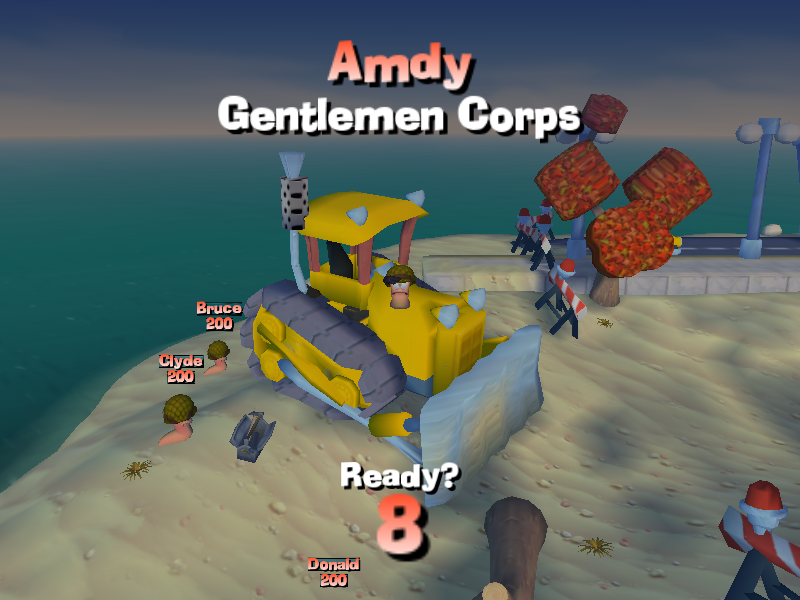 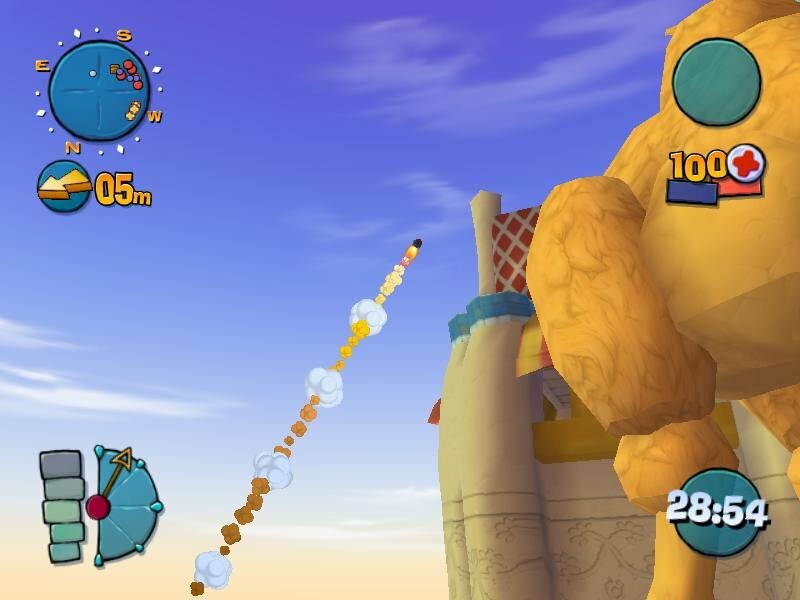 The guys at Team 17 have had many games under their belt, but the wildly popular Worms series earned them the most fame and glory. 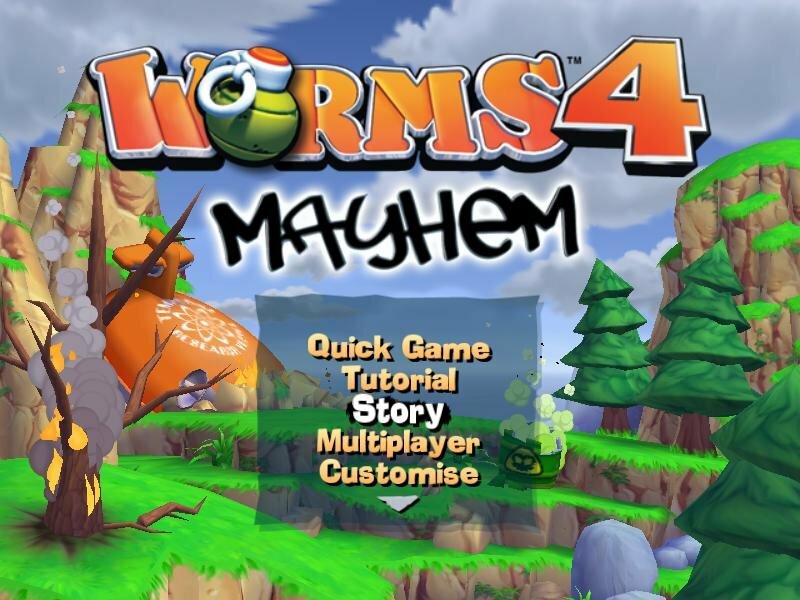 Though a few installments have diverged from the core gameplay, this turn-based strategy classic returns to its roots with Worms 4: Mayhem. 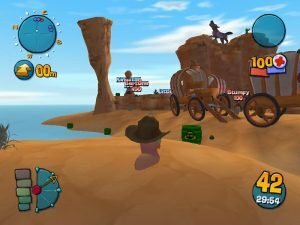 This latest chapter in the silly saga proves there is still life in the franchise, even if it might seem a bit stale to the faithful. 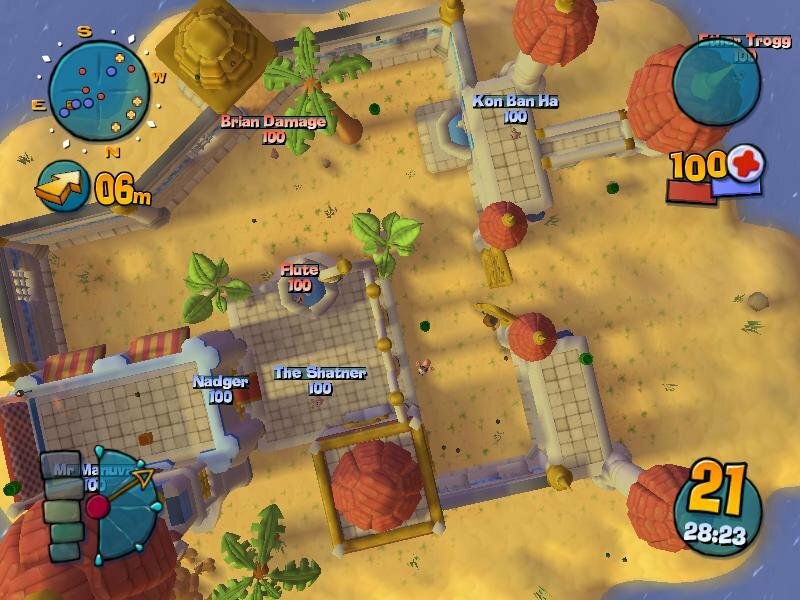 All the familiar hallmarks are present: teams of witty wrigglies squirm around fanciful, fully destructible landscapes, blasting their brethren with a huge selection of armaments both ridiculous and sublime. 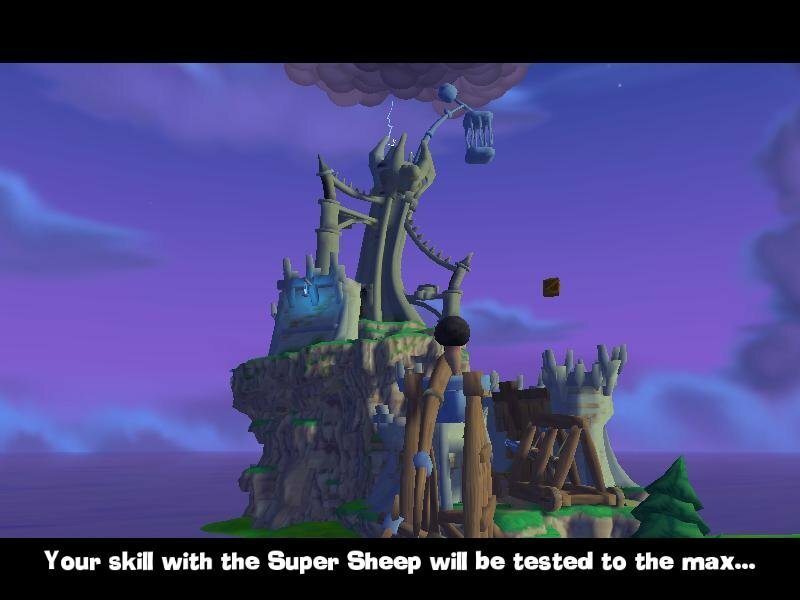 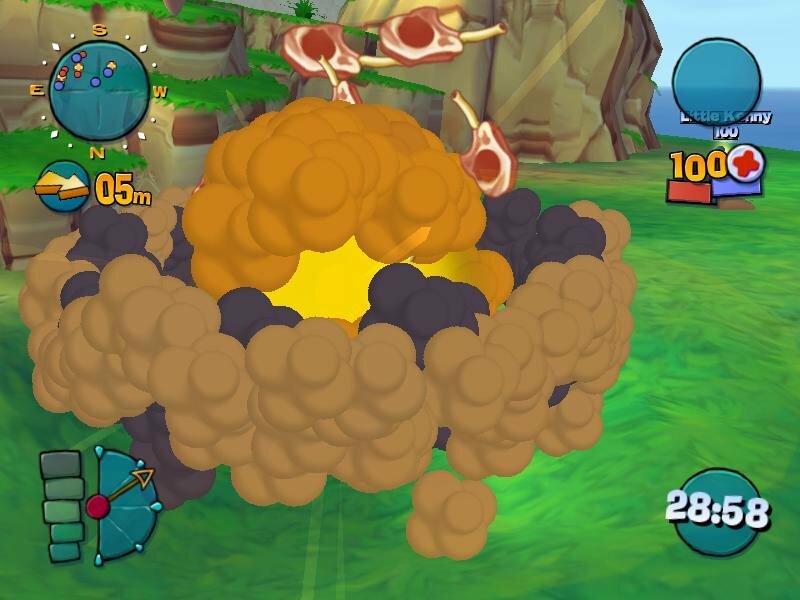 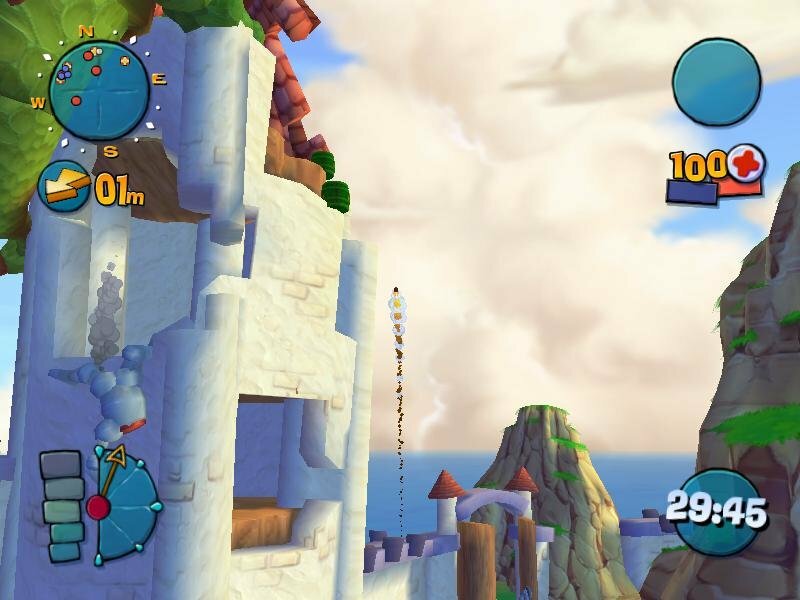 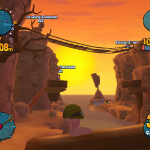 Like its more modern predecessors, Worms 4 embraces the third dimension; old pros that easily finessed factors like launch power, firing angle, and wind speed in the earlier 2D titles must now adapt to the added depth of the third dimension. 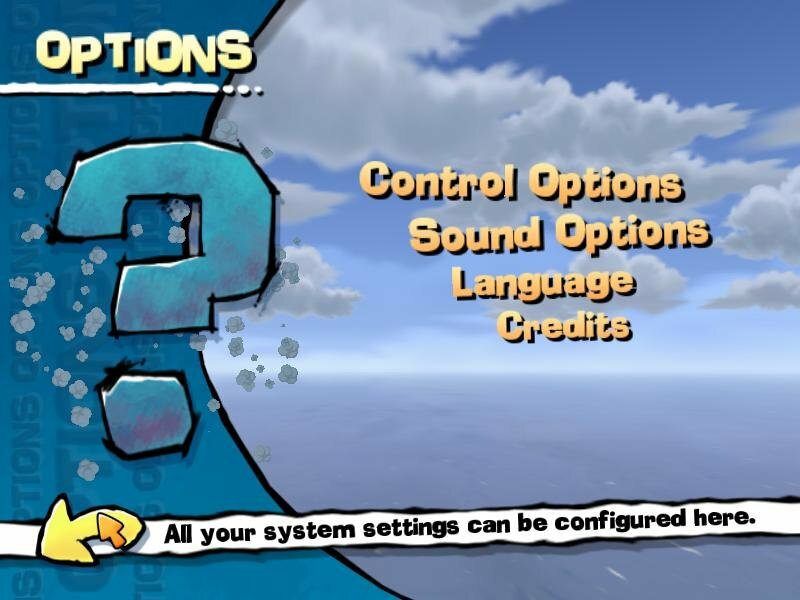 Unfortunately, the newest features are decidedly shallow. 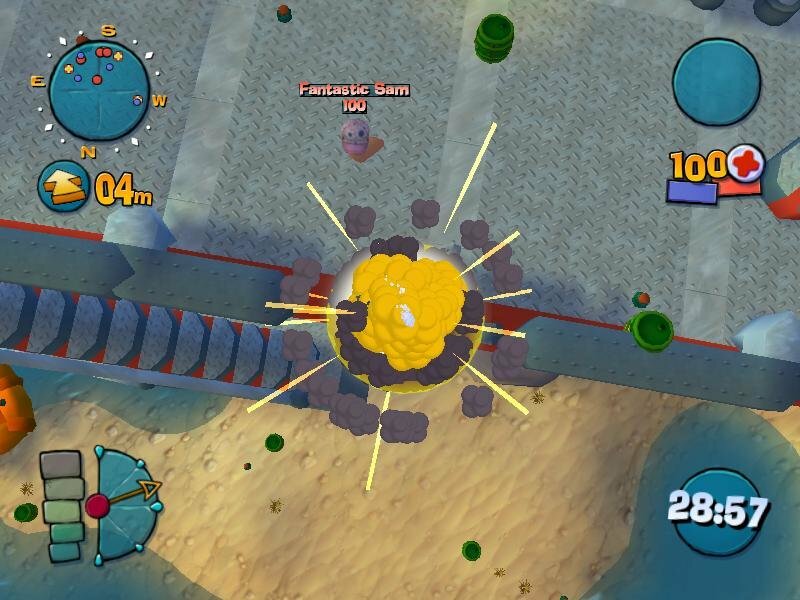 Choosing outfits for your team is amusing, but the touted weapon designer ultimately feels superficial; each customized boomstick looks different, but they often play the same as the already excellent stock arsenal. 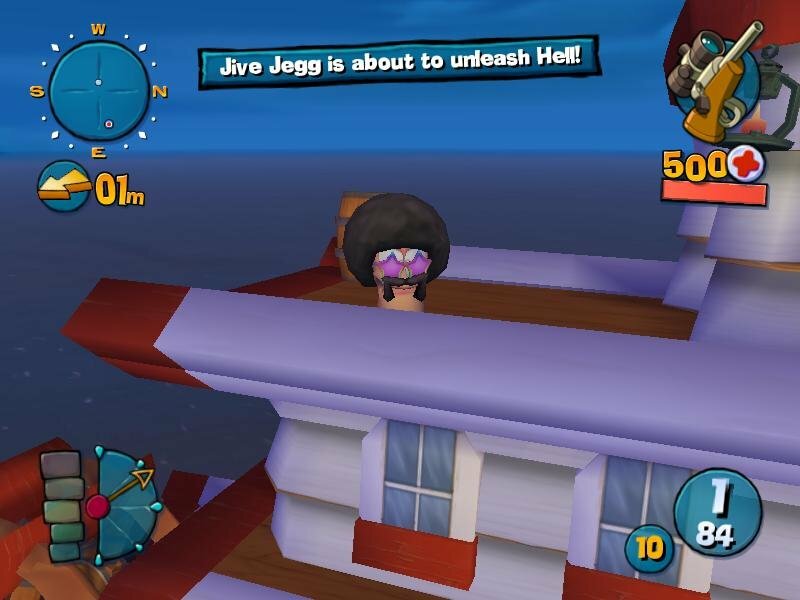 Completing missions earns coins for unlockable goodies. 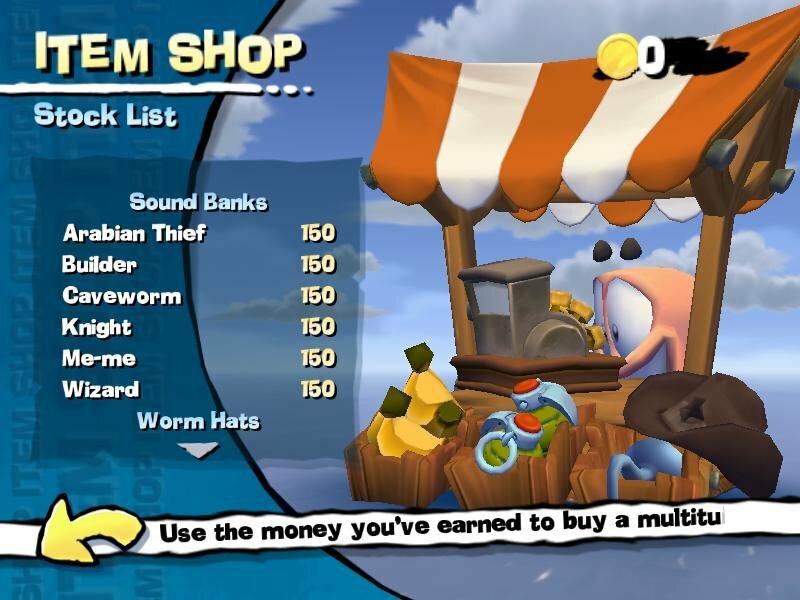 The extra costumization will allow you to add various things like mustaches, hats and gloves to your silly worms. 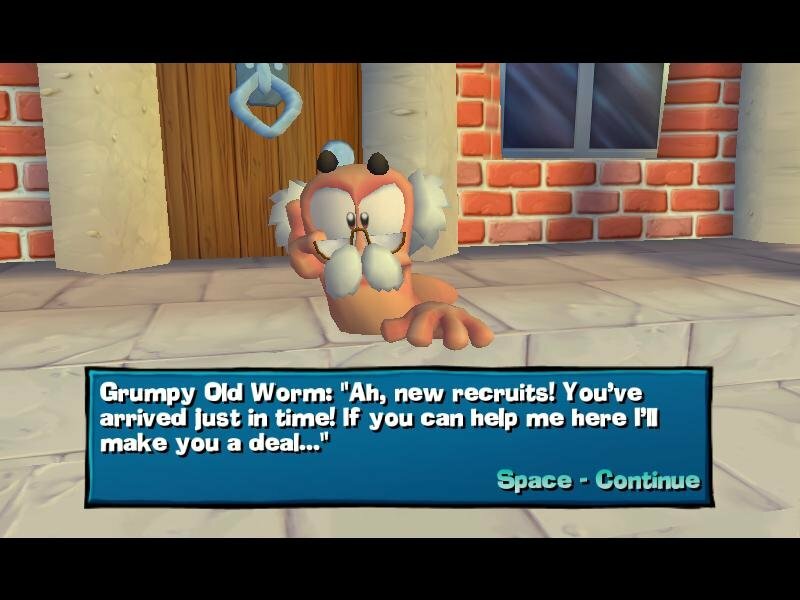 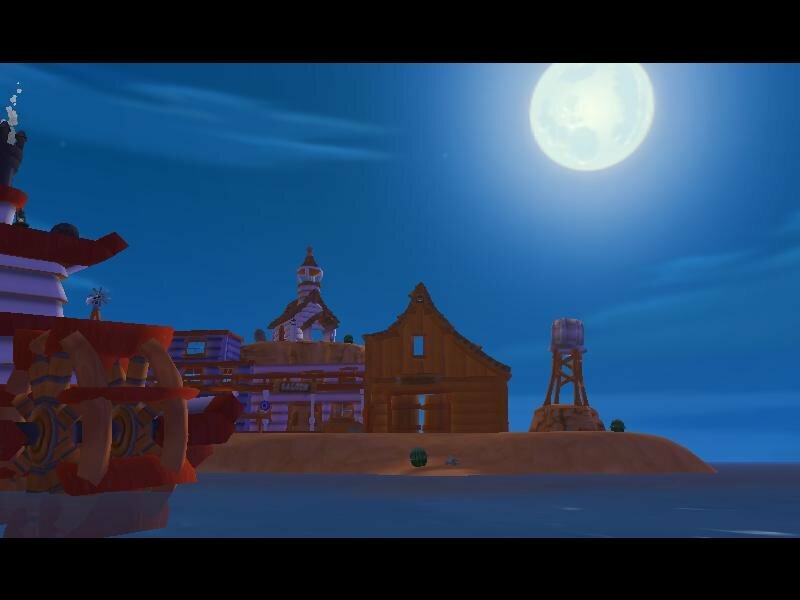 So does Worms 4 have any of that old magic? 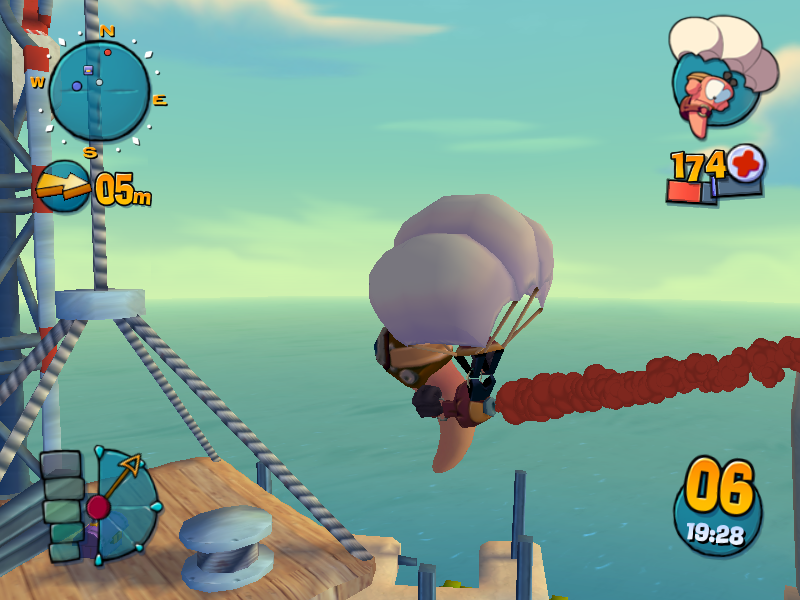 Well, the switch from colorful 2D to flat-looking 3D might not have been the best call, but this game is definitely the one to make the best use of this transition. 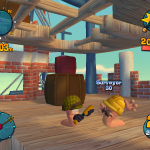 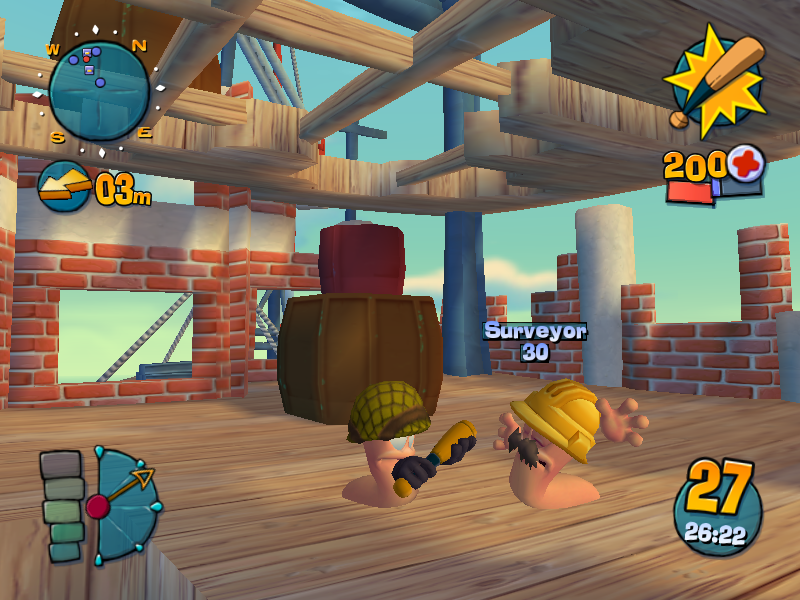 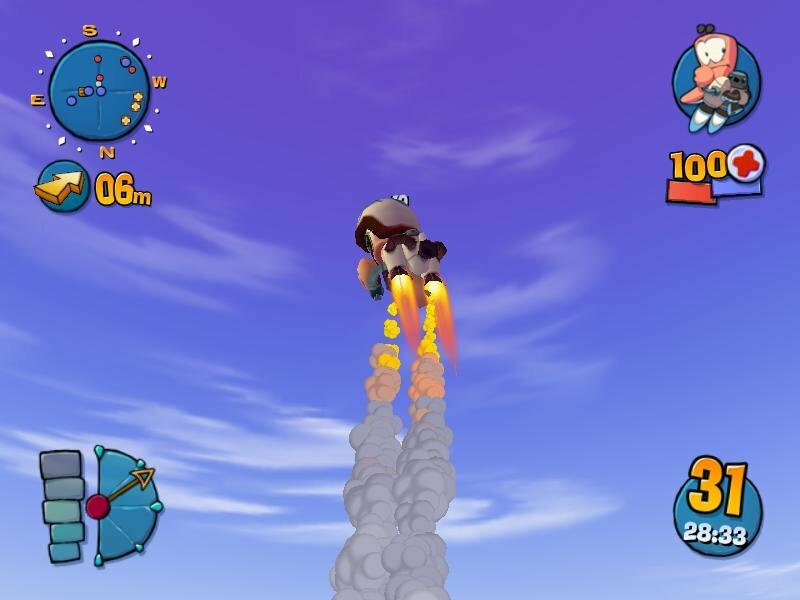 Possibly the best improvement are in the controls – unlike the unwieldy Worms 3D, in Worms 4 you can walk, jump and backflip through the environment quite easily. 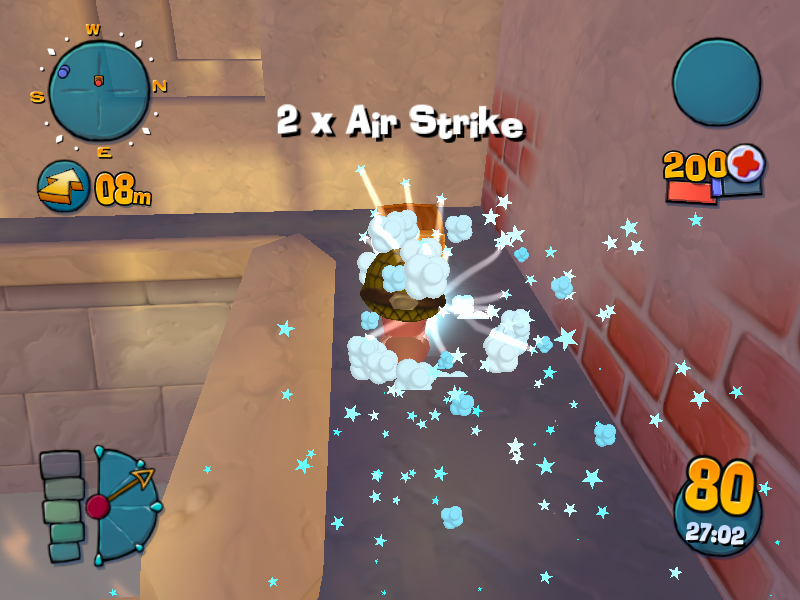 Both the camera and movement controls are much more responsive. 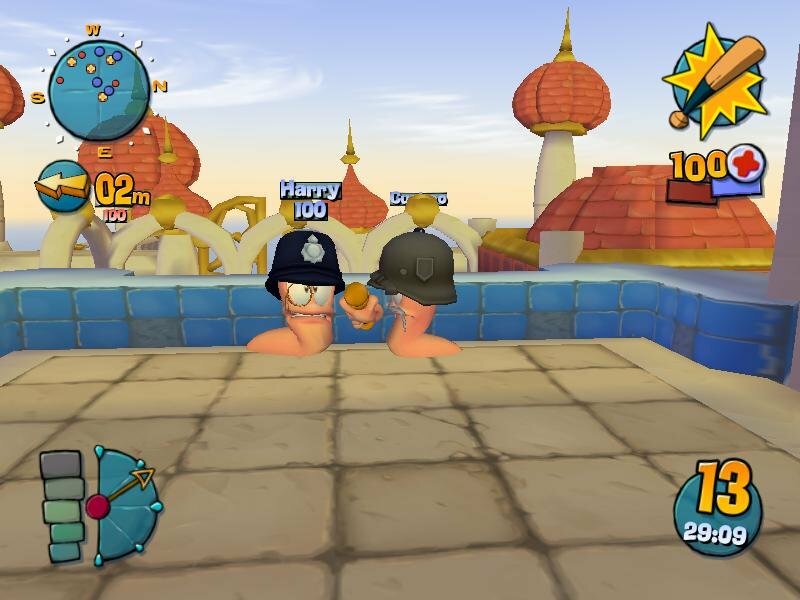 Multiplayer still remains the heart of the Worms games. 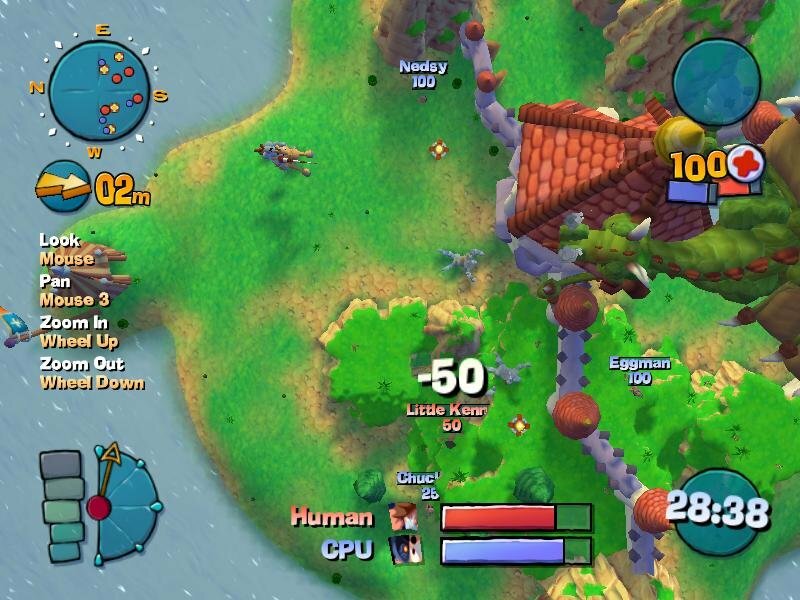 You can’t help but giggle when unleashing a Bovine Blitz on up to four of your pals during hotseat play. 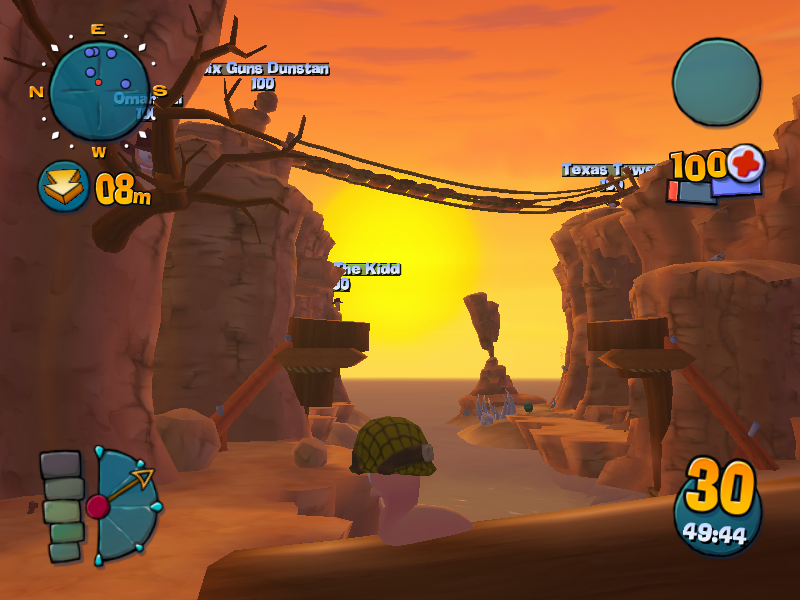 Combined with a funny and engaging story mode that does a good job at introducing beginners (the missions are very easy this time), and the general control fixes and enhancements, Worms 4 comes off as the Worms 3D we were meant to have.